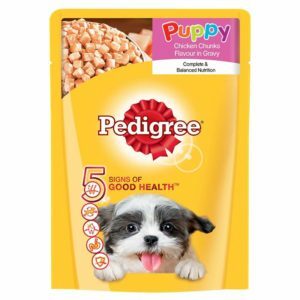 Looking to buy any Pedigree Gravy Puppy Dog Food Chicken & Rice at an affordable price? Well, here is a deal for now. Now get Pedigree Gravy Puppy Dog Food Chicken & Rice, 80 g Pouch at Rs 10. It’s a very good deal. SO, Hurry up and grab it fast. How to buy Pedigree Gravy Puppy Dog Food Chicken & Rice, 80 g Pouch at Rs 10?